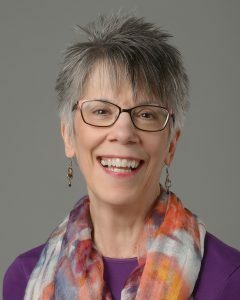 Barbara Stahura, Certified Journal Facilitator, has guided people in harnessing the power of therapeutic journaling for self-discovery and positive change since 2007. She began by creating the first journaling program for people with brain injury, which she continued presenting through 2016. She is the primary author of the acclaimed After Brain Injury: Telling Your Story, the first journaling book for people with brain injury. Since becoming a CJF in 2011, she has also presented journaling programs for a wide variety of audiences, including a dozen Brain Injury Association/Alliance conferences, university continuing education programs, a community college, family caregivers, people with cancer, the National Association of Poetry Therapy, National Guard service members, equine-facilitated therapeutic groups, and now, people navigating life transitions. She is also a member of the Journal Circle of the International Association of Journal Writing. She lives in Newburgh, Indiana, with her husband, a survivor of traumatic brain injury, who was her inspiration to begin this work. She can be contacted through http://www.barbarastahura.com and on her Facebook business page, A Living, Breathing Story.